I started by stamping the pine branch images from the Christmas Pines photopolymer stamp set in Shaded Spruce and Garden Green inks on a panel of Whisper White card stock. I stamped the snowflake image from the Christmas Pines stamp set in Pool Party ink over the Whisper White panel before adding the sentiments from the Making Christmas Bright photopolymer stamp set in Poppy Parade and Mango Melody inks. I adhered a strip of Shaded Spruce DSP from the All is Bright DSP pack to a panel of Poppy Parade card stock with SNAIL. 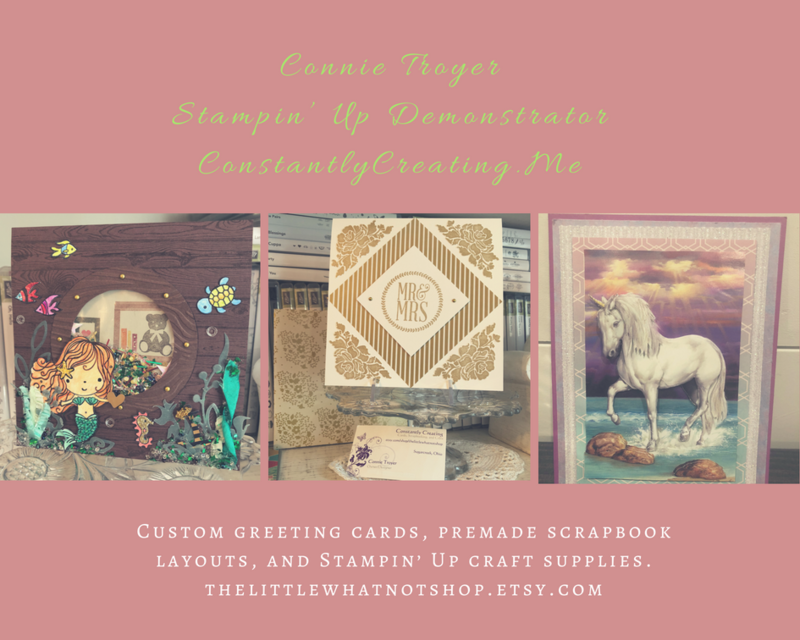 I adhered the stamped Whisper White card stock panel to the other side of the Poppy Parade card stock with SNAIL, then added a very thin strip of Santa’s Workshop Specialty DSP to the panel with Multipurpose Liquid Glue. I adhered the layered panel to a Shaded Spruce card base with Stampin’ Dimensionals. I stamped the bulb images from the Making Christmas Bright stamp set in Mango Melody, Poppy Parade and Pool Party inks on a panel of Whisper White card stock and then punched them out with the Christmas Bulb Builder Punch. I stamped the cap images from the Making Christmas Bright stamp set in VersaMark ink on a panel of Whisper White card stock, sprinkled them with Silver Stampin’ Emboss Powder and heat embossed them. I punched the caps out with the Christmas Bulb Builder Punch and adhered them to the bulb punches with Multipurpose Liquid Glue. To give the bulb a more 3D effect, I adhered them to the card front with Stampin’ Dimensionals under the bulb and a Glue Dot under the cap. I stamped the string of lights image from the Making Christmas Bright stamp set in Tuxedo Black Memento Ink on a panel of Whisper White card stock and then colored the bulbs with the Light Bermuda Bay and Dark Mango Melody, Poppy Parade and Shaded Spruce Stampin’ Blends Markers. I added the sentiment from the Christmas Pines stamp set in Shaded Spruce to finish the inside of the card. Okay, on with the hop!! Click the next button to hop forward to Moira McIlroy’s blog to check out her amazing project! If you get lost along the way, there is a complete list of participants right under the next blog button. My card was inspired by the tree in The Card Concept #102. This entry was posted in Holiday/Christmas and tagged CAS card, Christmas card, Christmas Pines, holiday card, Making Christmas Bright. Bookmark the permalink. This card made me think of the Merry & Bright Christmas ornaments when we were kids! 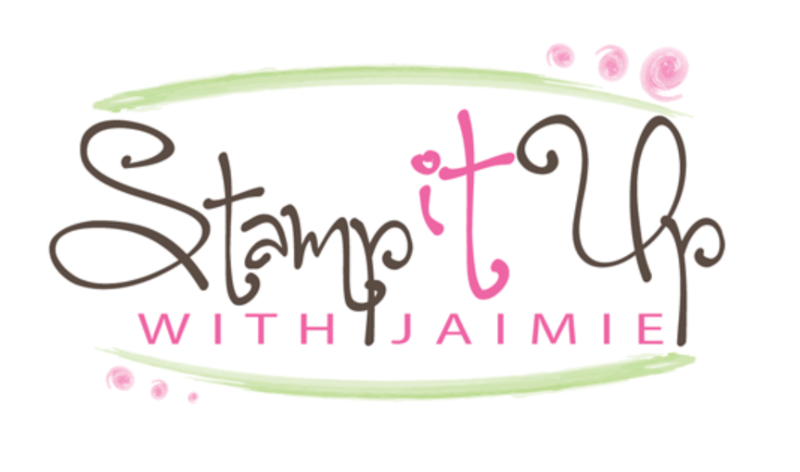 LOVE those stamps AND the colors you used! oh, I love the background you stamped before adding those adorable lights, and it blends perfectly with the designer paper you chose too, great layout. This is a great card! I love the added lights on the inside – super cute. Thanks so much for joining us at The Card Concept. Amy, this is so festive and fun! Love the bright colors with the pine- perfect for Christmas! Thanks for sharing with us at The Card Concept- hugs and we hope you can join us again soon!